A more protected garage? 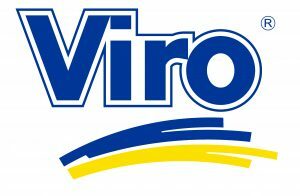 Viro security accessories! 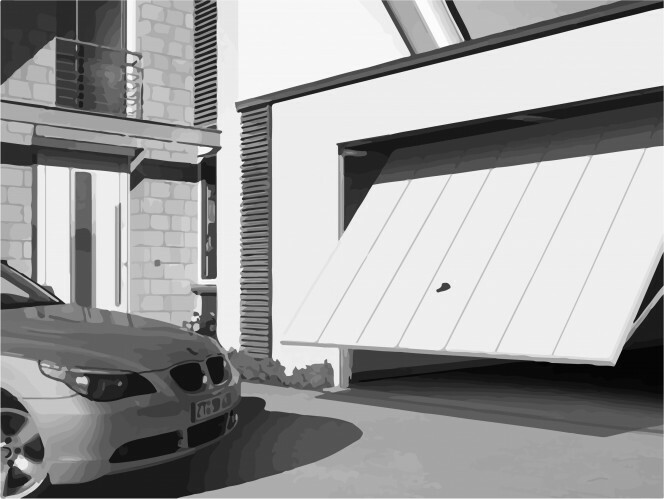 In the previous blog we presented some products, an example for each level (from standard to maximum), to ensure agreater protection for the garage door. 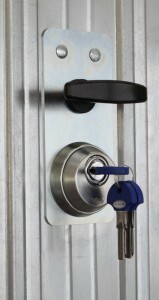 It is also possible to maximise the strength of the lock. 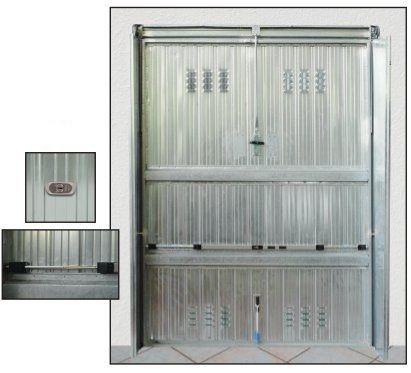 A solution which makes the presence of an armoured lock even more effective is to install additional accessories to enhance the strength of the garage door and the locking system already installed. As we have mentioned many times: the locks most widely used today when fitting up-and-over doors are often products imported from the Far East without any resistance or reliability. That is why we are convinced that, in order to avoid thefts or break-ins, it is not only necessary to replace the original lock with a stronger one, but above all to choose it with care, depending on the specific needs. To be more precise, if the garage is used to store valuable equipment or for parking cars and motorbikes, our advice is not to limit oneself to change the lock. What more can you do? There are some accessories which can turn out to be excellent “collaborators” in the defence of the garage. Let’s have a look at them. Install internally, under the selected lock, the case-hardened, tempered and galvanized steel protective plate to prevent thieves from easily drilling the sheet metal and manoeuvring the internal release lever for the lock with a wire inserted through a hole made with the drill, or, using a hollow cutter, making a hole large enough to enter even with a full hand. Install externally, covering any pre-existing holes in the lock originally installed, a galvanized steel plate, designed for the passage of the cylinder and the fixing screws of a security escutcheon. 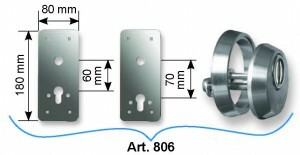 Protect the cylinder (if you have chosen a European cylinder lock) with a pull-resistant carbonitrided steel and zinc plated security escutcheon and with a rotating anti-drill plate. Use also a fastening unit, such as the New Condor with the specific accessory for fitting on up-and-over doors to ensure an additional anchoring to the ground, which prevents the forced lifting of the garage door. Although it is not possible to guarantee the total “infallibility” of the security systems, thanks to these additional arrangements the break-in times are greatly extended. 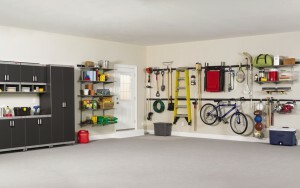 Even a very well-equipped thief would find it difficult to try to break in to a adequately protected garage, and would probably look for simpler targets rather than risk being discovered. This entry was posted in Locks and Cylinders, Motorbikes and Bicycles and tagged products, technology, tips on 13 September 2017 by calessandrini.